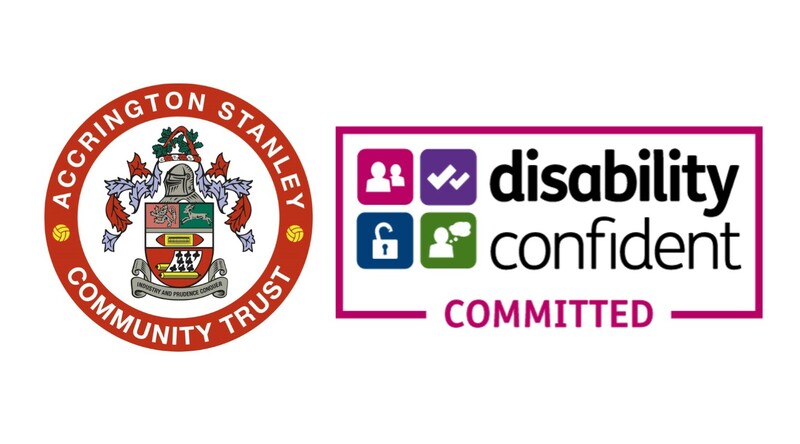 Accrington Stanley Community Trust are proud to now be a Disability Confident committed employer, meaning that we recognise the potential disabled people can bring to the work place and provide them the opportunity to fulfil their ambition. This follows on from the Community Trust recently launching its weekly junior disability sports session and establishing the first Accrington Stanley disability football club. Head of Sport Lee Walsh explains ‘We are working hard to make Accrington Stanley and Stanley Trust the most inclusive it can be and this is another step in that direction’. The Disability Confident scheme was introduced by the government in 2013 to support businesses to fully utilise the skills that disability employees can provide to the workplace. This unique opportunity allows businesses to discover a talented someone within their local community that the business cannot do without. The scheme was established by employers and disabled peoples representatives to make it thorough but easily accessible. The aims of the scheme are to help employers such as ourselves recruit, retrain or develop disabled employees.